Horncastle Community Primary School is committed to safeguarding and promoting the welfare of children and young people and expects all staff, governors, volunteers and visitors to share this commitment. The School’s designated safeguarding lead is Mrs E Leak (Assistant Headteacher). Please also see the School's Child Protection and Safeguarding Policy and Department for Education latest advice below. 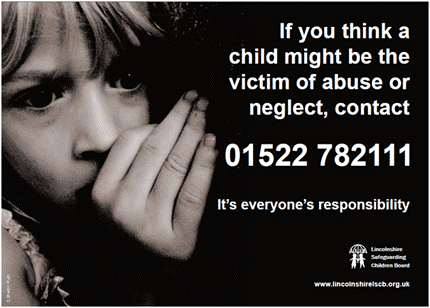 Lincolnshire Safeguarding Children Board External web page. Keeping Children Safe in Education (DfE) External web page.